"Lost our buyer" A premium lot makes this home so superior to others of its caliber. It is bordered by Mature trees and shrubs, a peaceful creek and some wildlife, making the southern exposure completely private. Access this beautiful view from the 15x 25 trex deck and LL walkout. Enjoy the view from your master suite windows as well. This Pristine home has 4 beds, 4 baths, vaulted foyer, open staircase and mostly hardwood flooring on entry level. The great room is wired for surround sound and has a gas log fireplace. You'll love the built-in dustpan, a feature of the central vac. The master bedroom has a walk in closet with organizer. The bath has a separate water closet and shower. The lower level walk out is over 1000 sq, ft. completely finished with family room, a full bath, and private office. The backyard offers a huge stamped patio and child play scape. 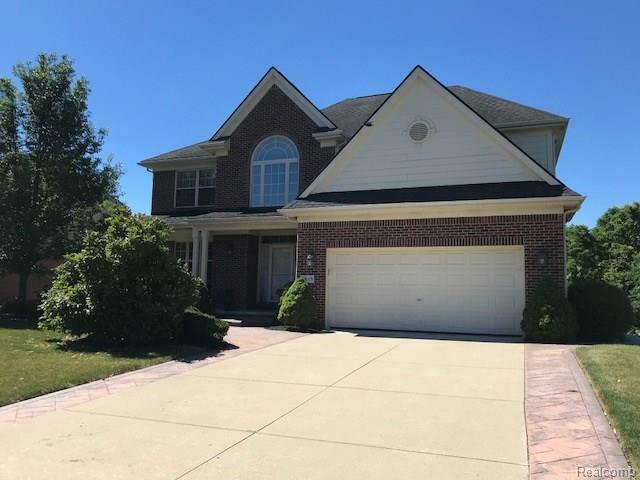 This home is within walking distance to Webster Elementary School, one of the top-ranked schools in Michigan.